Stories of travel and conductive living, with additional contributions by Susie Mallett Emma McDowell and Andrew Sutton. Order on line by emailing editors.cep@gmail.com, naming the books that you want to buy and how many copies you require – and what country you want them sent to. Your order will be weighed and its postage calculated. You will be sent an invoice by email and on receipt of payment your order will be despatched through the post. Payment will be via Paypal, please. András Pető was a healer. In difficult and tumultuous circumstances in post-War Hungary, out of a personal practice of movement therapy with paralysed children and adults, he developed a pedagogic method from which modern-day ‘Conductive Education’ proudly traces its origins. But who was he? What did he actually do? Indeed, what was his method? Surprisingly little has been generally known about András Pető, even amongst his most ardent followers. In his life he cultivated an aura of mystery; in death he became a myth. This book offers personal recollections from close associates and colleagues, some previously published, some specially written for this publication, along with a range of attempts to sum up and understand his life and work. Originals were written in German, Hungarian and English. Here they are presented in English. Also here are detailed course-notes for his students, written at the pivotal time that his movement therapy was emerging as conductive movement pedagogy, plus a short collection of his poems that reveal so rawly some of his own mental anguish. Written in Hungarian and German respectively, these too are presented here in English translation, along with facsimiles of their originals. 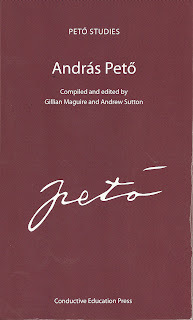 This book should help disperse some of the myth around András Pető, so that its readers may begin to create their own critical appreciation of who he was and what he did. 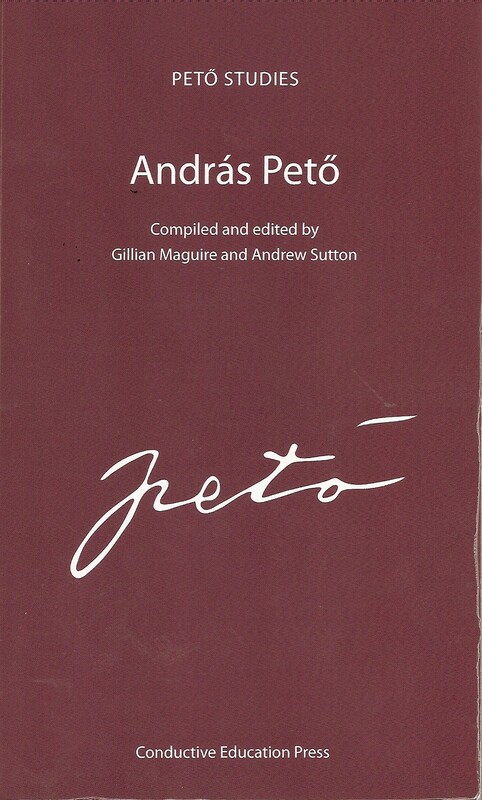 It is hoped that it will also help readers question and challenge what they already understand about András Pető and his work, and how this relates to present-day practices and the invocation of his name.